inTech Aluminum Trailers for sale! 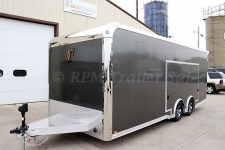 RPM Trailer Sales offers a premium aluminum trailer provider setting the standard for aluminum car trailers, race car trailers, stacker trailers, gooseneck trailers, and custom-built trailers. Nestled in the heart of America, inTech Trailers are built in Nappanee, Indiana. 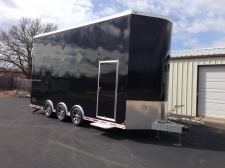 When the owners of inTech Trailers dream began, they knew there could be an amazing difference between trailers... Partnering up with the owner of RPM Trailer Sales, their vision of difference was not only in the dream of an amazing product, but with the people they trusted to help build the brand. Brad, owner of RPM Trailer Sales has worked hand in hand to help design and build the inTech Trailer brand and product. You never have to settle for a mass-produced assembly line trailer. At RPM Trailer Sales, an inTech trailer is personally built by hand. 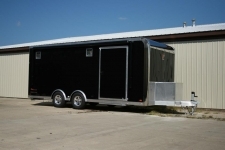 From start to finish your trailer will be given the attention it deserves with every detail small or large. 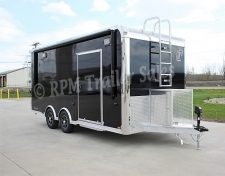 RPM Trailer Sales will work with you to design the best aluminum trailer for your specific needs. Every detail throughout the designing, ordering, and building process, RPM Trailer Sales guarantees that the inTech Aluminum Trailer will not disappoint. When you are in the market for your next aluminum trailer, take the time learn about the inTech Trailer by RPM Trailer Sales. RPM Trailers sales, your largest inTech Aluminum Trailer dealer, offers a full line of inTech aluminum trailers to fit all of your hauling needs. 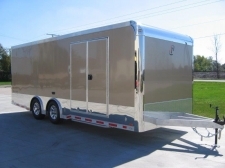 We guarantee the best customer service, knowledge to design you the best aluminum trailer in the industry. From the simplest to the most complex, custom built enclosed inTech Aluminum Trailer, RPM Trailer Sales has you covered. Take some time to look over what we have to offer. We will never dissapoint when it comes to a custom trailer design. If you have any questions or need any help, then don’t hesitate to let us know. Brad and Samantha would love to add you to the RPM Trailer Sales family.